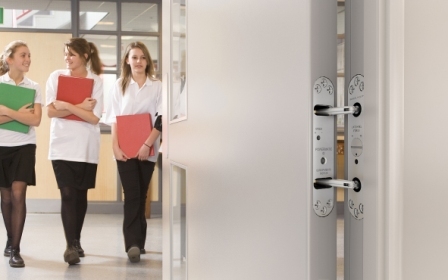 The Powermaticâ, controlled, concealed door closer is ideally suited to the education sector. 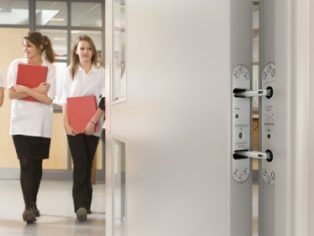 Whilst its fire performance credentials, maintenance-free service and enhanced aesthetics are undoubtedly attractive, anecdotal evidence suggests that it is the door closer’s total concealment, and the many health and safety benefits that this brings, that are making Powermaticâ so popular for use in schools, colleges and university facilities. The door closer reduces risk in two key areas; vandalism and self-harm. Being totally invisible when the door is closed, Powermaticâis less likely to be vandalised, thereby reducing maintenance costs and, more importantly, reducing the risk of a fire door being rendered ineffective by a damaged door closer. This concealment, and the fact that the closer can be mounted at a low position in the door, also help to reduce the opportunity for self-harm. Professionals responsible for the management and development of buildings in the education sector are also recognising the many other fire performance, accessibility and reliability benefits that make Powermaticâ an ideal choice for new-build, refurbishment and improvement projects.